The Ponte Nomentano (called Pons Lamentanus in the Middle Ages) is a Roman bridge in Rome, Italy, which carried the Via Nomentana over the Aniene (Latin: Anio). 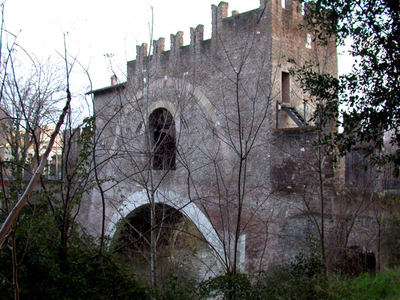 Having lain outside the city limits for most of its history, the picturesque bridge is noted for its medieval bridge tower, which served to protect this important northern approach to Rome. 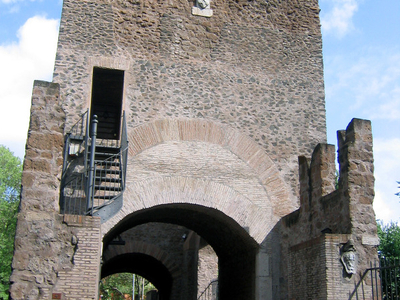 In antiquity, the Ponte Nomentano was located outside of the Aurelian Wall, at a distance of 3.9 km from the Porta Nomentana. The East Roman historian Procopius records that the bridge was destroyed around 547 AD in the war for Italy by the Ostrogoths under their king Totila, but soon after rebuilt by the victorious Roman general Narses (in 552). The still intact late Republican fabric of the main arch, however, indicates that the bridge could have been only partially damaged in the event. Here's the our members favorite photos of "Bridges in Rome". 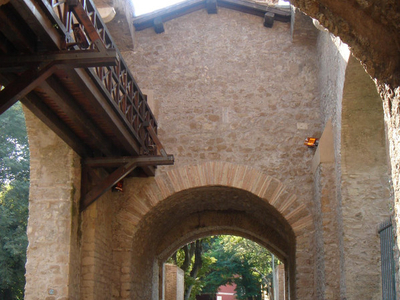 Upload your photo of Ponte Nomentano!